Bhangra is the dance of our soul. It is the dance we love to take up with our friends and family. Originating from Punjab, Bhangra has taken over the world with its enigmatic style and free flow of emotions. Not just India, even the United Kingdom, Russia, United States and Canada has tasted the freedom and the happiness associated with the dance form. We at Artist on Demand are a group of individuals belonging to different backgrounds. Not just Sikhs, we hire a variety of performers who can perform on stage. They have the versatility and the popularity to match their reputation. With years of experience under their belt, the Artist on Demand team is ready to take on any challenge you throw at them! A wedding is an occasion which is a symbol of happiness, of time to cherish memories and make some more. Bhangra is the epitome of such moments, of moments of joy, of showing happiness and receiving it in return. Our performers liven up the event, ever ready to make people smile and dance their hearts out. With colourful matching attire and big smiles on their faces, our Bhangra artists will remind you of your “Pind” for sure. Another interesting feature that we have added to our repertoire of services is the LED Bhangra Tron. Watch in amazement as the best in the business do a full lightning show undertaking your favourite dance. The performance goes through at lightning speed with a number of songs playing in the background. It is amazing for guests to see such a performance as they gaze with bewilderment at what is happening on stage. If you truly want to make you event a big hit, a LED Bhangra Tron is a must for you! 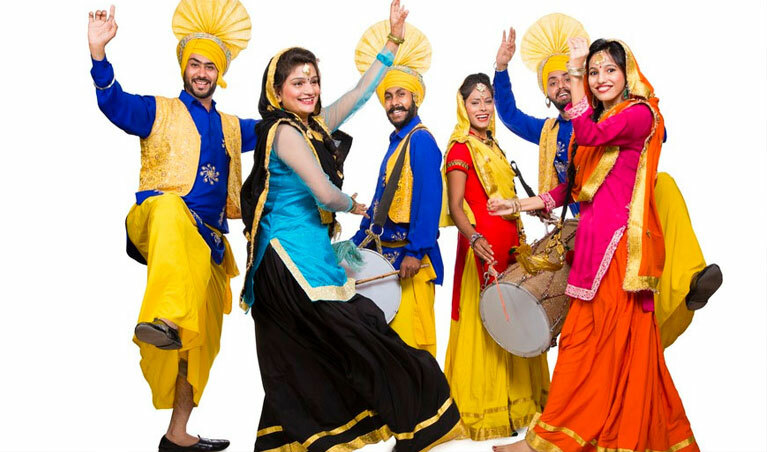 Artist on Demand provides Bhangra dancers for all kinds of events- be it College parties, Corporate parties, Birthday events, New Year parties and weddings of all sorts. Our dancers are extremely professional and reach the venue well before time. They carry their own playlist but if you have any special requests do let us know and we will make sure to incorporate them in the performance. They are available in groups of 3 and beyond. If you are planning on an elaborate affair, we can also provide more artists to suit the requirement. Our artists are even open to collaborations, with other guests or even with other artists. As Bhangra is a dance best done in groups, our team members make sure the event pans out in the perfect way and take care of all the hassles for you. Our prices are reasonable as well as very affordable. They are far less compared to other competitors. If you are looking for a Bhangra Dance Group in Delhi, give us a call! So, what are you waiting for? Contact the best Bhangra group to enjoy the night to the fullest and dance and make merry!